Loreen Wiley, principal of SAD 70’s Mill Pond School in Hodgdon, announces the honor roll for the second trimester of the 2018-2019 school year as follows. 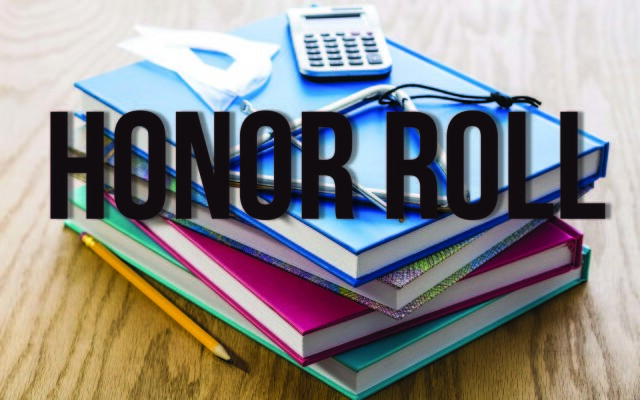 HODGDON, Maine — Loreen Wiley, principal of SAD 70’s Mill Pond School in Hodgdon, announces the honor roll for the second trimester of the 2018-2019 school year as follows. GRADE 5 — High Honors: Paige Bosse and Hunter Farrar. Honors: Daniel Clark, Brody Dyer, Alyssa Elland, Alyssa Estabrook, Ashton Faulkner, Michael Fitzpatrick, Elijah Fournier, Padme Hardy, Delilah Jay, Jennell Jones, Aurora Lorom, Jaydyn Moore, Wyatt O’Donnell, Samantha Reeves, James Ruffin, Wyatt Sanford, Joseph Scott, Hayloe Sherman, Morgan Smith, Miley Suitter, Emma Williams and Evan Winship. GRADE 6 — High Honors: Shay Gilbert, Anna Oliver and Alex Sherman. Honors: George Gaddis, Gracie Little, Kaelynn Little, Sarah Matheson, Katie McQuarrie, Sydney Rockwell, Samantha Shank, Molly Suitter, Ava Wells and Brooke Wheeler.